About the Award: Since 2014, Makerere University in partnership with Mastercard Foundation, has provided scholarships at the undergraduate level to academically talented, yet financially disadvantaged students from Sub-Saharan Africa. Recipients of this scholarship are provided with comprehensive financial, academic as well as social and leadership development support for the entire period of their study at the University. Must be admitted to study at Makerere University main campus in the academic year 2019/2020. This means that in order to fit within the Makerere University admission guidelines, all Scholarship applicants should endeavour to apply for admission when Makerere University advertises for private sponsorship. Must be from an economically disadvantaged background, and a citizen of any country in Africa. Should exhibit academic excellence in either Sciences or Arts with a minimum of 11 points for young women and 15 Points for young men obtained in Uganda Advanced Certificate of Education (U.A.C.E) or its equivalent from 2016, 2017, and 2018. Must demonstrate leadership potential and commitment to social betterment. Must have a record of community service. Should not be a holder of any other Scholarship. Should not have completed any Diploma or Undergraduate studies. Should not be a registered student of any university or tertiary institution. Submit completed Application Forms to the address in (1) above by Friday 10th May 2019. at 5:00pm. 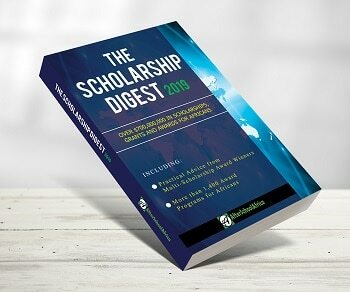 If submitting by email as an attachment, ensure the scanned copy of the scholarship application form is clearly legible and send to info@mcfsp.mak.ac.ug.